Place the de-seeded segments of 2 lbs. of tangerines or oranges in a bowl. Blend 1 cup of your choice of any combination of strawberries, raspberries and/or blackberries with 1/4 cup of dates. Pour the berry blend over the citrus fruit segments and enjoy! 5-10 ripe bananas or papayas, sliced into bite-sized pieces. 1 handful of dates, de-pitted and sliced in half. 1 head of Romaine or other green leaf lettuce, sliced. 2 ribs of celery, thinly sliced. Place the lettuce on a plate, top with the other ingredients, serve and enjoy! Salad: 2 cups tomatoes, diced. 2 cups green leaf lettuce, shredded. 1 cup kale, shredded. 4 broccoli or cauliflower florets, chopped. 1/2 cup pea shoots. Walnut Dressing: 1 cup mango, diced. 1 cup tomato. 1/4 cup cucumber. 1/4 cup red bell pepper. 2-4 tablespoons of fresh-squeezed orange, lemon or grapefruit juice. 1/3 cup of walnuts. Blend until smooth. Pour the dressing over the salad and enjoy! 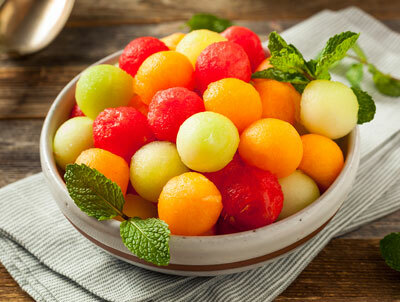 Add 1-2 cups each of diced watermelon, cantaloupe and honeydew melon to a bowl. Dig in and enjoy! Salad: 2-4 cups of grapes. 1-2 apples, diced. 1-2 pears, diced. 2 ribs of celery, diced. Dressing: 1/2 cup dried dates or figs, de-pitted or de-stemmed. 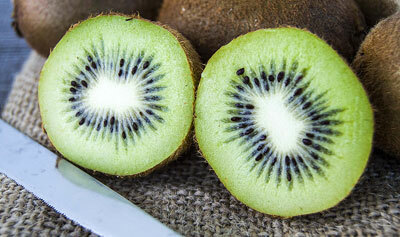 Soak in water for 1/2 hour, then blend with water until smooth. Pour the dressing over the salad and enjoy! Blend ½ cup of cooked sweet pea and 1 avocado with the Juice of ½ of a cucumber. Then, pour this delightful dressing over the salad. Paté: 1 cup tomatoes, diced. 2 mangos, diced. 1 small cucumber, julienned or processed into noodles or fine spaghetti. 1/2 large or whole small avocado. Blend all ingredients in a bowl. Spoon the paté over a bowl of lettuce, kale, spinach or bok choy leaves and enjoy! 4 ripe bananas. 1 handful of strawberries. 2 ribs of celery. 5 pitted dates. 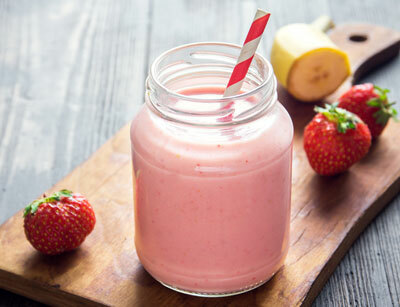 Add all ingredients to a blender, add purified water or coconut water to desired consistency, blend and enjoy! 1-2 cups of tomatoes. 1 rib celery, chopped. 1/4 cup of your choice of cilantro, parsley, arugula, basil, and/or onion. 1/2 cup sunflower sprouts. 1/2 large or 1 whole small avocado. 1 tablespoon lemon juice. Blend all ingredients, adding water as needed for desired consistency. Top with a handful of pre-soaked (1-4 hours) raw pumpkin, sunflower or sesame seeds, or raw pecans, almonds or pistachios. Dive in and enjoy! Grain Medley: boil then simmer in a pot until soft: 1/2 cup of quinoa and 1/2 cup of millet. Steamer Basket Medley: cook these ingredients in a steamer: 1/2 cup peas. 1/3 cup celery, diced. 1/2 cup beets, diced. 2 cups Brussels sprouts. 1/2 cup summer squash. 1/2 cup sweet potato. Add the cooked grains and vegetables to a serving bowl and mix together. Salad: Add these ingredients to a salad bowl: lettuce, shredded. sunflower sprouts. carrot, grated. red onion, slivered. 1/2 large or whole small avocado, sliced. Mix all ingredients together. 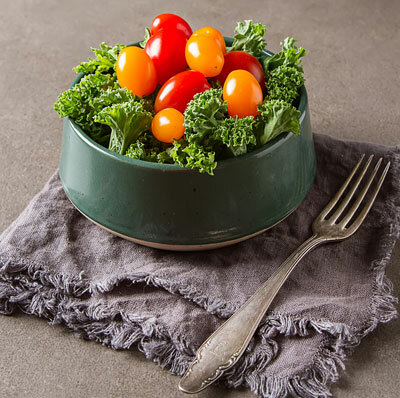 Serve the veggie medley bowl and raw salad together and enjoy! Stuff Zucchini with mozzarella cheese, baked at 350° for 40 minutes and then slice. Then, serve on a bed of fresh spinach leaves. Prepare 1 bagel, sliced, and then, add romaine lettuce, cucumber, onions, and alfalfa sprouts. 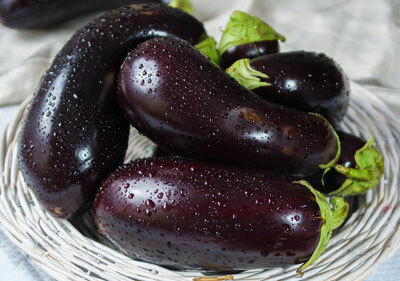 Prepare a grilled eggplant, brushed with oil, with steamed white rice, grilled asparagus spears, and a red onion, grilled. Then, cut into wedges. The Eggplant Special is now ready to be served. 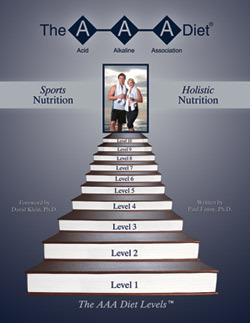 NOTE: Level 10 is the highest point of "diet achievement" for maximum health, power, strength and endurance for maximum athletic performance. More recipes and detailed information about the The AAA Diet® can be found in the book: The "The AAA Diet® Guide" by Paul Fanny, Ph.D.